A previous published article from Deutschlandfunk highlights the challenges of no-shows in the Bundesliga. The German top tier football league faces the problem, that on average 10% of fans with valid tickets do not attend games. Notably, no-shows are quite common in various industries besides sports. Hence, different approaches to reduce the number of empty seats have already been made. Especially, machine learning algorithms and modern data science helps to predict the number of people not showing up and enable counter-measures. For example, FC Barcelona recently announced to improve attendance at the Camp Nou stadium by incentivising season ticket holders financially to return their ticket before each game, when they know they won’t attend. 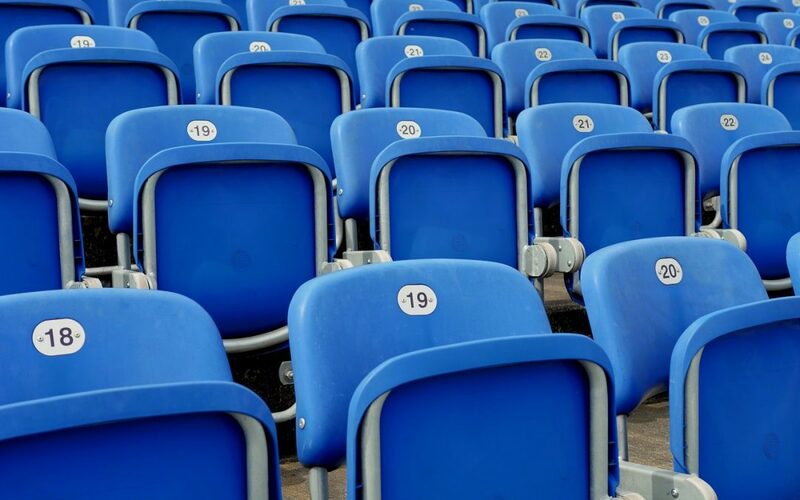 Furthermore, the club uses historical and current data to predict how many members will likely return their ticket before each game in advance in order to re-sale tickets timely and avoid empty seats. On planes, there are always passengers who do not appear on their flights, despite owning a valid and paid ticket. That’s why every airline has developed algorithms predicting no-show behavior and enabling operators to act accordingly to fill the planes. The mechanic behind this is the forecast management of airlines. Airlines use machine learning prediction to exactly know on which routes passengers frequently do not appear. The forecasting system of airlines usually incorporates rebooking statistics, current weather data, public holidays, holiday times and event information at the start and destination. Knowing how many customers are likely not to show up enables countermeasures. Non attending customers could be punished with a fee, reliable customers rewarded with some bonus, and unused tickets re-sold. On the one hand, this leads to better utilization. On the other hand, it also keeps planning the operations accordingly, e.g. optimized number of meals on board etc. Coming back to the sports Industry: According to the article from Deutschlandfunk, the growing presence of international leagues in Germany’s television market is adding competition for clubs on viewers. After all, the advancing streaming technology provides easy access to all kind of sport events around the world. What’s more, the consumption of fictional entertainment is easier than ever. As a result, the number of sold-out games in the Bundesliga is declining. According to data from transfermarkt, only 115 of the 306 games in the season 2017/18 had been sold out, the lowest number in the last 10 years. On top, Junior Professor Dominik Schreyer states in the article that around 10% of valid ticket owners do not attend the games. The Junior professor describes that the no-show rate at the beginning and end of the season is comparatively low. Additionally, the weather and the temperature play a significant role in no shows. The attractiveness of the opponent is relevant as well. We have developed a prediction & steering algorithm to optimize the load factor of stadiums and venues. The algorithm recognizes patterns in no-show behavior and can predict future no-show based on this valuable data. The model also learns on recent data ensuring a constant improvement of results. Our data scientists consider more than 85 parameters, such as weather, loyalty, day of the week, opponents, and more to build an algorithm that predicts unused tickets per sub-block and enables effective countermeasures for any ticketing department. On the one hand, stadium operators can plan their resources more effectively. On the other hand, fans get access to sold-out games, that they wouldn’t be able to join and new fans who come to sold-out games have the potential to become loyal fans in the long run. As a result, the whole fan experience in the stadium gets optimized – a true win-win situation for fans and clubs. Another goal is to optimize capacity utilization and safeguard the associated revenue streams. The Bundesliga and 2. Bundesliga show a theoretical revenue potential of EUR ~35m per season through no-shows. With our technology, automatic no-show forecasting in real-time is possible and helps ticketing manager to use this information in the ticket sales process. FC Bayern München already counts on Smart Pricer’s no-show forecasting tool to improve fan experience at the Allianz Arena. Since 2018 FC Bayern München works together with Smart Pricer to actively face the challenge that fans not showing up to a game even though they are in possession of a valid ticket for a game in the Allianz Arena. „The professional analysis with Smart Pricer regarding the access behaviour of our fans to the games in the Allianz Arena convinced us. We are confident that our future cooperation will enable us to reduce no-shows in the stadium“ Oliver Meßthaler – Director, Ticketing Service, Security & Facility Management, FC Bayern Munich. Smart Pricer provides sports clubs, entertainment venues and ski resorts around the globe with the necessary tools to increase ticketing revenues. We have over 10 years of airline pricing experience and done millions of pricing optimizations. Smart Pricer is the go-to-partner for many venues such as Europe’s largest cinema chain, UCI, Berlin’s Bundesliga club, Hertha BSC and Ski resort Zermatt. We continue to help companies achieve an increase in ticketing revenues by +5-15. Please head over to our sports page to discover all solutions we provide in this industry. Contact us to discuss how our approach for FC Bayern München can be used for your stadium.